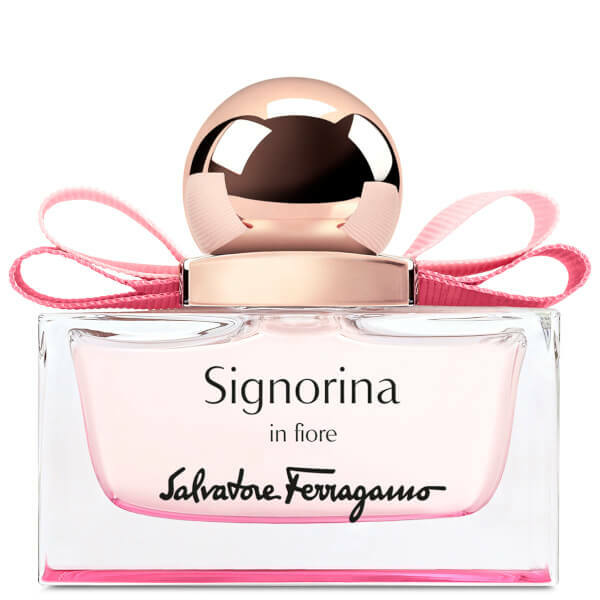 Lose yourself in the romantic scent of Salvatore Ferragamo In Fiore Eau De Toilette, a vibrant and feminine fragrance powered by fruit and floral accords. Opening with a fusion of Nashi Pear and Pomegranate, the enchanting scent delves into a passionate heart of Cherry Blossom and Jasmine petals before succumbing to a creamy base of White Musk and Sandalwood. 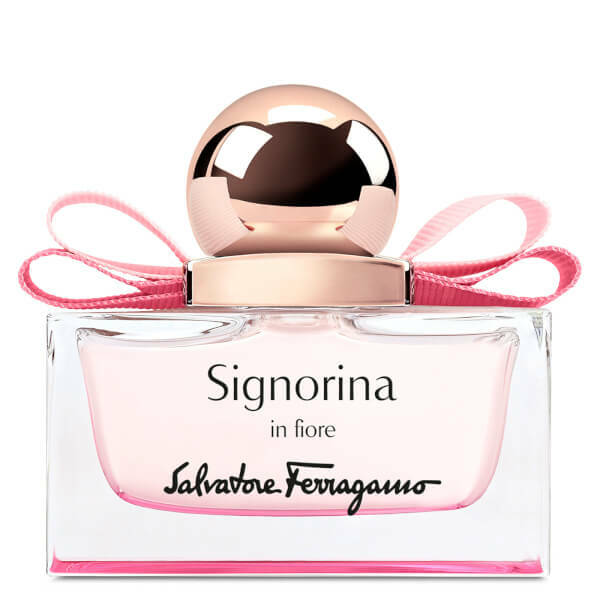 The light fragrance personifies feminine tenderness. 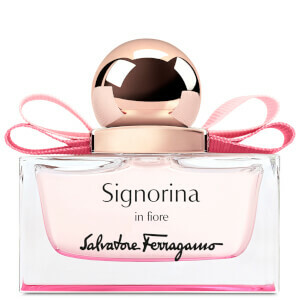 Housed in a vivid pink bottle with pink-gold cap and grosgrain bow. Top Notes: Nashi Pear, Sorbet and Pomegranate. Heart Notes: Cherry Blossom and Jasmine. Base Notes: White Musk and Sandalwood.